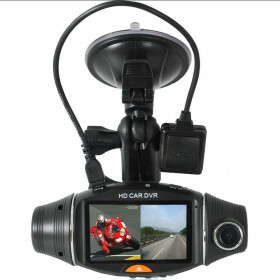 Vehicle DVR Dashcam » Protective Solutions, Inc. This unique DVR features 2 cameras - a forward-facing camera with 140 degree FOV and a rear-facing camera with a 120 degree FOV. This unit can be set to constant record or record when motion is sensed. An incredible value!